Aquanautics DIve, Inc. was established in 2008 to provide top quality Scuba Dving Instruction with high quality equipment and serivces in Southern California. Aquanautics Dive is a PADI 5 Star Instuctor Development Center offering a full spectrum of Scuab Diving Instruction for the underwater world. We are a small Dive Shop with a big menu of classes, services, and experiences. We have both group and private instructions available. We also carry top quality equipment. It is our mission to be more than what the average dive shop has to offer and become an elite dive facility. We became a PADI 5 Star DIve Center in teh summer of 2010 which expanded our menu of leadership level classes and shows our growth and credibility as a strong resource in the dive community. We became a PADI 5 Star Instructor Development Center in March of 2011. This means we not only teach people how to dive, but we teach the people, that teach the people, that teach the people how to dive. As a DAN Training Center with a DAN Examiner on staff we teach all of the Divers Alert Network Safety Classes for the people that teach the people, that teach the people, that teach the divers. You can't ask for much more in terms of credentials, but more important to us is our students experiences. Come in and talk to us. Our staff provides Professional Scuba Diving Instruction through all recreational levels and leadership levels. We are experienced divers with a great passion for Southern California Shore DIves as well as the Channel Islands. We are based in the San Fernando Valley in Los Angeles, California, USA. We believe in teaching beach diving as well as boat diving. Beach diving is something not to be missed as it makes the underwater world more accessible and can be done safely with the training in the proper techniques. 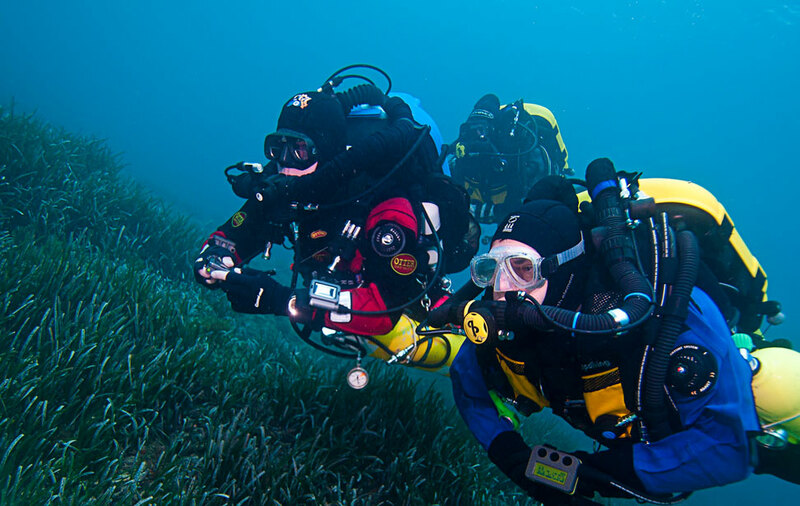 Learning how to beach dive makes it easier to get in the water and diver more frequently. In the Loas Angeles area we have great shore and island environments each with a wide variety of aquatic life from teh colorful Garibaldhi to the Giant Black Sea Bass. We have beautiful Kelp Forests and the individual Channel Islands each have their own variety of creatures and features.